We’re proud to announce that we have partnered with The Mermaid, an award winning conference and events venue in London, as a preferred supplier of video production and web streaming services. Designed and built as a theatre in the 50s, The Mermaid now hosts some of the best events in the capital. From major product launches and conferences for the biggest brands in the world, to exhibitions, weddings and regular BBC radio concerts. 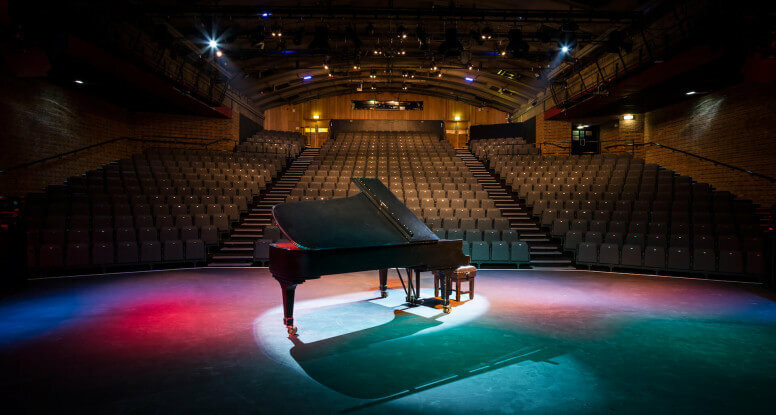 The Mermaid’s theatrical design and range of spaces, including the spectacular 600 seat main auditorium, along with the creative approach of the staff add a splash of showbiz glitz to any event. These attributes, along with an excellent location alongside the river Thames, the latest in presentation and audio visual technology and amazing catering services helped cement its place as Best Conference Venue in the annual conference awards. little ginger offers a wide range of multi-camera live production options for filming events at The Mermaid. This includes broadcast quality HD web streaming, allowing events to reach global audiences. We also offer our services to produce promotional film material before the event, either to advertise or to create content to be presented during the show such as logo animations, stings, and walk up films for awards ceremonies.